Brand Strategy & Development, Corporate Identity, Stationery Design, Website Development, Google Apps Integration, SEO, Facebook Page. 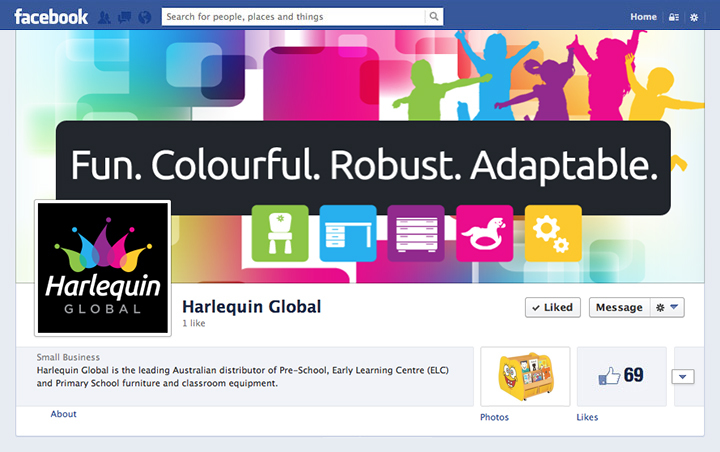 Harlequin Global is the leading Australian distributor of Pre-School, Early Learning Centre (ELC) and Primary School furniture and classroom equipment. Bingo Bango was engaged with all their logo, brand development and corporate identity. Fun. Colorful. Robust. Adaptable! 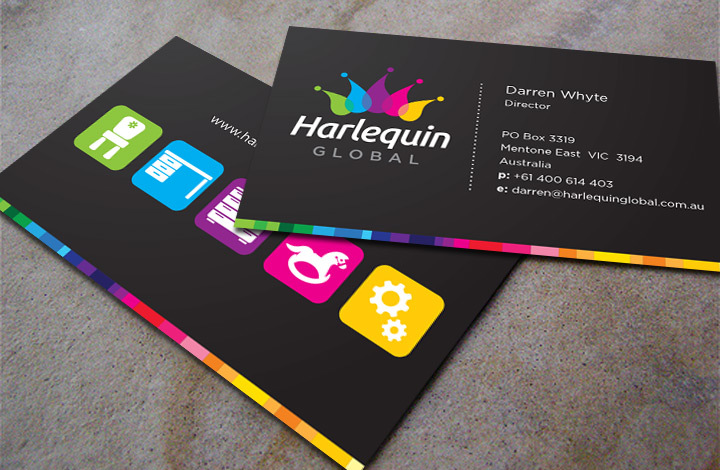 - That's the encompassing attribute of the Harlequin Global product and those four words formed the basis of our approach in developing their new identity. Their logo is a stylised Harlequin (or Jester's) Crown made from five icons that represent children playing. The bright colours reflect both the vibrancy of their products but also their target audience (Primary eduction). After creating their logo and identity, we then set about developing their brand strategy. 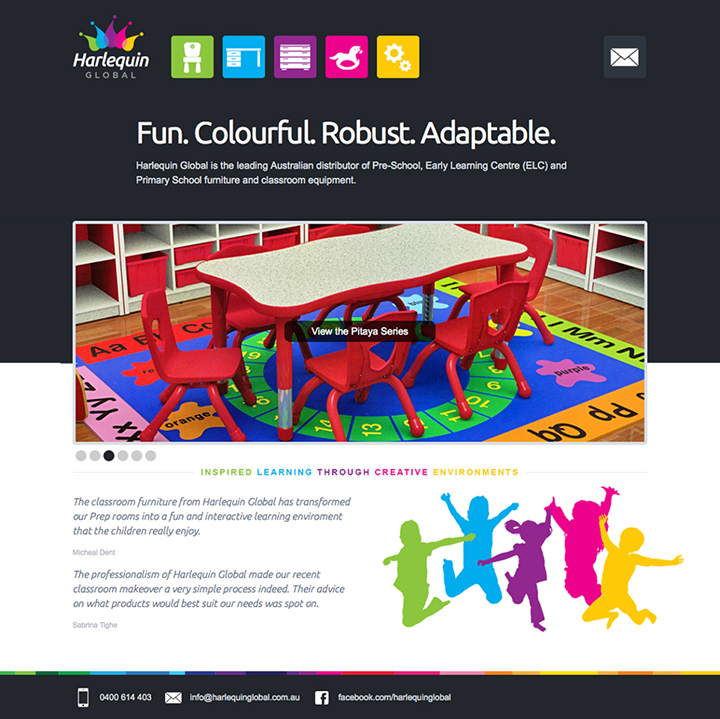 Our main focus was that the designs had to be colourful and eye-catching, to reflect the logo's vibrant colour palette, but also to create a set of graphic elements that supported the wide range of classroom furniture they distribute. 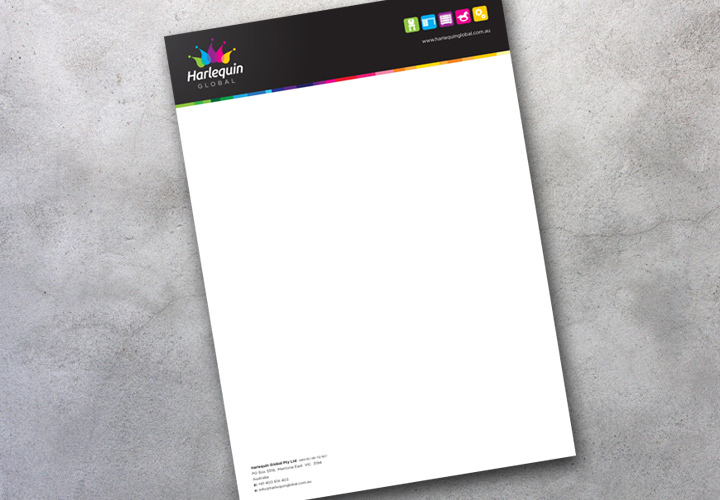 After the logo and Stationery items (Letterhead, Business Cards) were complete, the designs were then applied to their website, which also includes a CMS back-end from system from Blackmaze Creative to allow the team at Harlequin Global to perform ongoing maintenance and product additions to the website. This was further enhanced with the websites' SEO development and a company facebook page as well as google apps setup so the team can collaborate more effectively utilising cloud technology. Say Hello to Bingo Bango!